D&B Management will be holding auditions for children looking for representation in Musical Theatre. We are looking for children aged 7-12 years under 5 foot in height who are London based. If you would like to be considered please call 020 8698 8880 and further information will then be emailed over to prepare. You could be our next rising star! 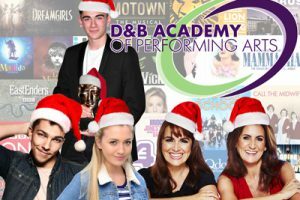 For information on how to join D&B Academy of Performing Arts please fill in the form below and a member of our team will be in touch. Read all about our latest news! Check us out on Facebook, Twitter or see our YouTube channel. Register your email address with us to receive our newsletter of the latest news and upcoming events.